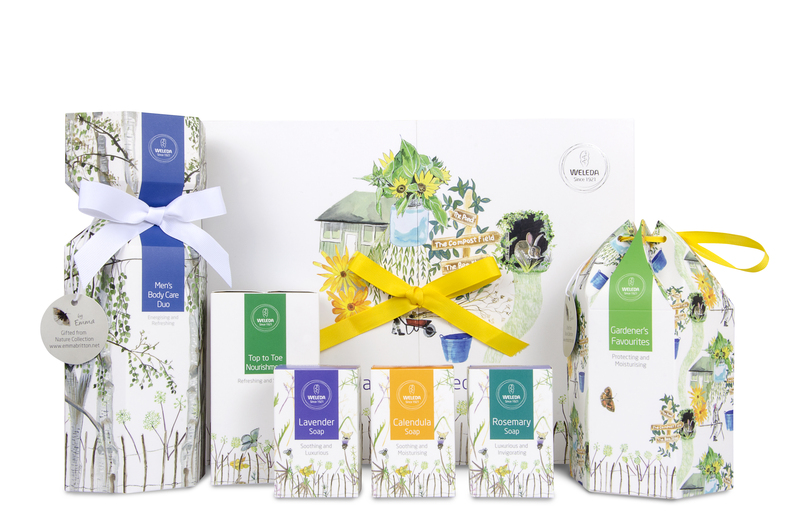 I am delighted to announce that I had the opportunity to design an exclusive collection for the authentic organic brand Weleda UK (which has been in existence for nearly a hundred years) entirely inspired by their 13acre Demeter-certified gardens in Derbyshire a few miles from my studio. Last month I was given the honour of presenting the unveiling of the collection at their annual conference and to give a talk about my inspiration behind the designs for their packaging. Shop the collection and read my Q&A to find out more. And look out for the collection on the high street this Christmas too in Boots, Waitrose as well as independent health shops. 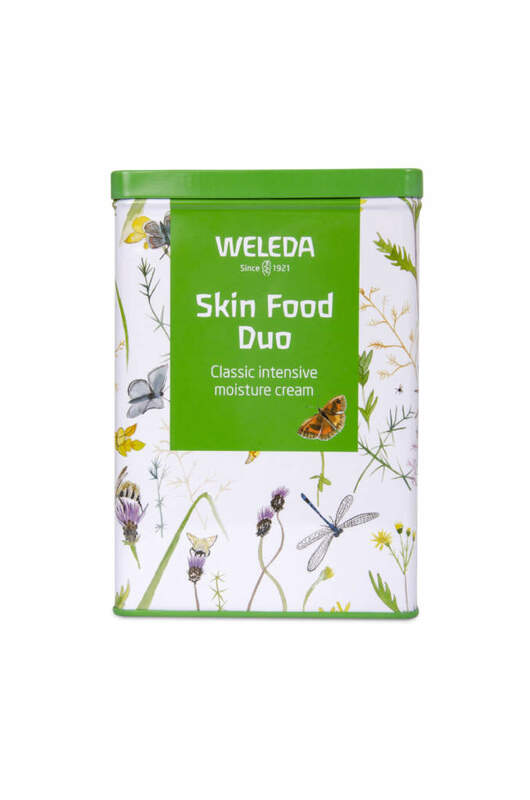 If you fancy an Emma Britton Meadow tin containing their amazing cult product Skin Food you will need to head to Holland & Barrett as it is exclusive to them! Decorative glass designer Emma Britton was commissioned by Weleda to create the pack designs for their 2018 collection ‘Gifted from Nature‘ and it has just been launched. 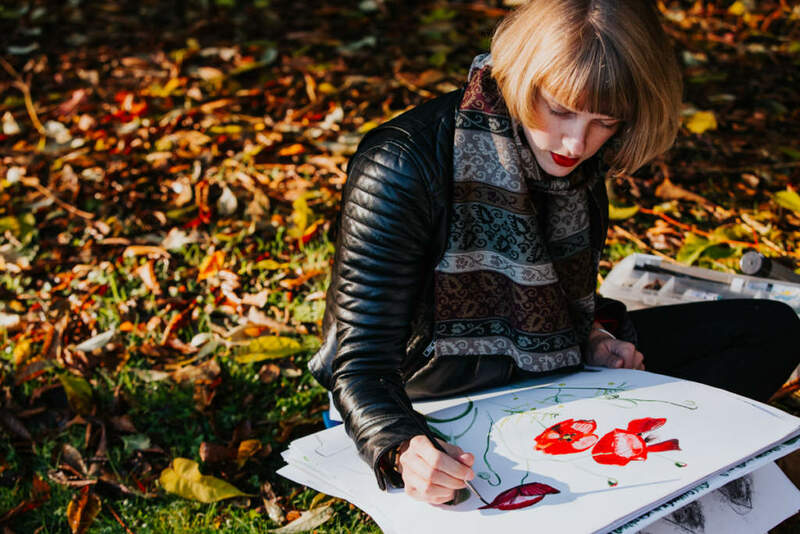 Emma’s designs for the new products have successfully captured the essence of The Field, Weleda’s 13 acre Demeter-certified gardens in Derbyshire, close to her studio. This is the place where herbs, shrubs and trees are grown biodynamically in a near-nature setting before being harvested for the precious plant tinctures in Weleda’s range. 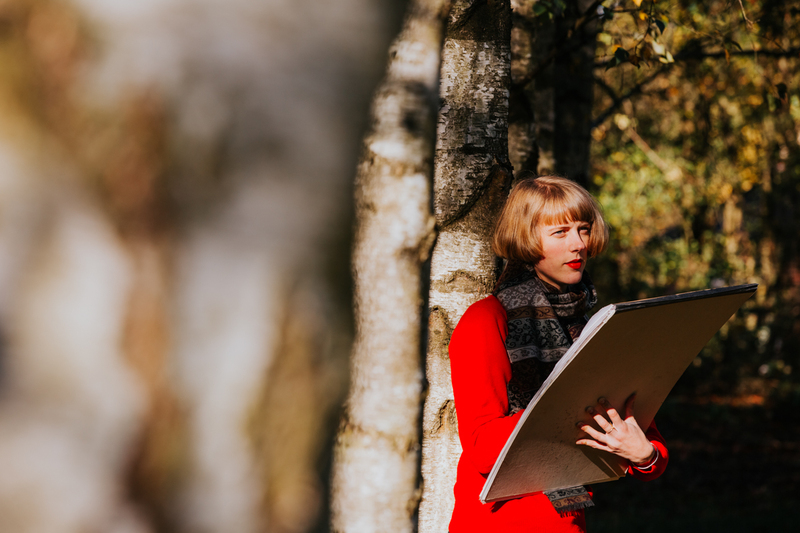 As a pattern designer Emma sees and captures the beauty in nature through delicate hand-painted details and painterly pops of colour. 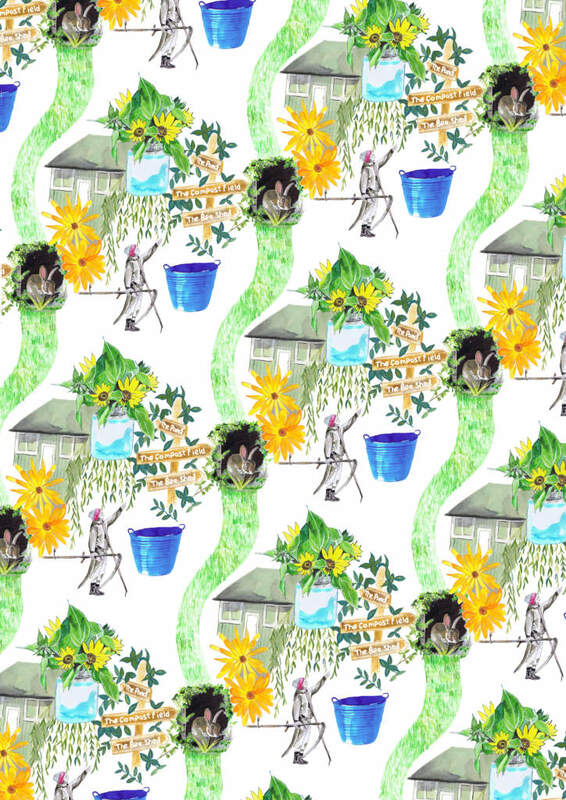 Her designs tell the story of The Field, a magical place rich in inspiration and full of life. 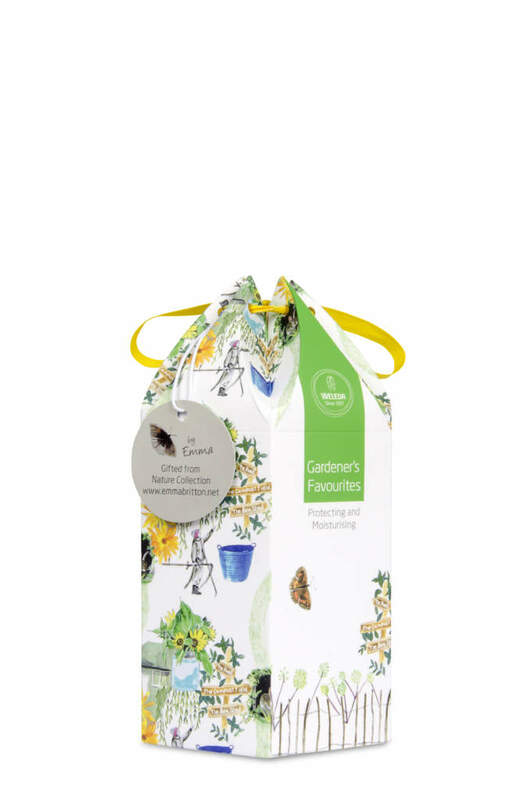 The delicate flora and fauna illustrations found in this Gifted from Nature Collection capture the spirit of place of the Weleda gardens in beautiful designs that will enchant and delight. 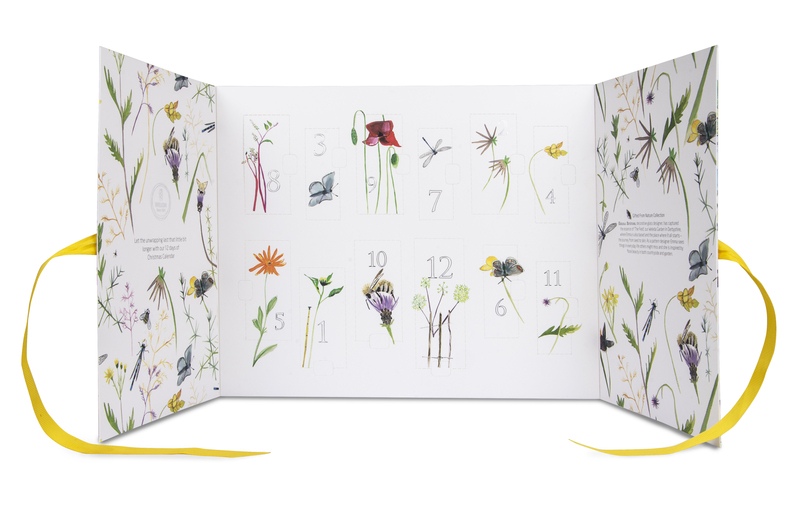 Each gift set is patterned with a variety of wild flowers found in Weleda’s summer meadow and the wildlife it attracts including bees, butterflies and iridescent damselflies. There are other details too including wooden garden signs, a rustic picket fence and sturdy trugs. Below is my favourite design it celebrates the important work the Weleda Gardeners do every day weaving their way around the paths at The Field, it includes; the Bee Shed, where Mick the resident Bee Keeper makes honey and gives educating workshops to school children, the blue trugs the gardeners use to carry around their harvest, the wildlife found at the farm, the flowers on the gardeners table at tea-break and Fiona carrying her scythe down a path and stopping to check on a plant. This really captures what makes Weleda different and a really special company. I really enjoyed the total freedom I had with this project to create a truly organic collection. Sketches of me drawing at The Field taken by the very skilled Elly Lucas I highly recommend you check out her work. If you’d like to commission me to design an exclusive collection for your brand please contact me. I really like working on site-specific projects.